Would-be StarCraft II buyers in Russia will have the option to buy the game at a greatly reduced cost, but after a year they'll have to pay a monthly subscription fee. Okay, wait. If you just read the part of the title that says "StarCraft II Will Have Monthly Fees," then just take a deep breath and put the pitchforks and torches down. It's not that clear-cut at all. Last week, Blizzard announced that StarCraft II would be retailing for $60 here in the States - just like Warcraft III and Diablo II - unless you wanted to pick up the $100 super-special-awesome mega collector's edition. However, regional prices do vary, thanks to currency exchange rates, taxes, and the like. As it turns out, someone in Blizzard Europe either thought that people living in Russia couldn't afford a $60 game, or that they wouldn't pay for it - Russia is infamous for record rates of software piracy. A Blizzard representative has confirmed that the pricing plan for Russian gamers will be one based on "installments." Essentially, StarCraft II will be sold in Russia in two versions: A standard DVD case for 999 rubles ($34.36, Â£22.38 or €25.41 - approximately half the price of the regular European version) or a jewel-case version for 499 rubles ($17.16, Â£11.13 or €12.63). Players who shell out 999 rubles will have a year of access to the Battle.net multiplayer - but only on Russian servers, not with the whole of Europe - while those who buy the cheaper version will get four months of access to the same. After the time has run out, the players will have to pay 100 rubles ($3.44, Â£2.23, €2.53) a month for continued access to Battle.net. 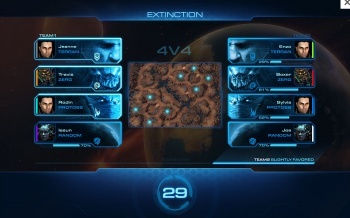 However, Russian StarCraft II buyers will, at any time, be able to "upgrade" to the complete version of the game that will be sold elsewhere in Europe for "about 30 Euros," giving them full, unlimited access to Battle.net there on out. The Blizzard rep confirmed to worried Polish gamers that this pricing model would only apply to Russia, and not any other countries anywhere in Europe. I'm betting that most of you shared my initial reaction on reading that SC2 would have a subscription - uneasy surprise - but the more I read about this, the more I think it's actually a very clever way to approach selling a product in a part of the world where people have comparatively less disposable income, and where piracy is so high as a result. I'd be willing to bet that a lot of gamers - Russian or not - wouldn't be playing StarCraft II for more than a year (some might not even stay four months), so they'll never have to worry about the subscription fees. For those who are interested in more long-term play, there's the option to upgrade for a one-off payment. Giving people options - especially on how they pay for things - isn't a bad thing, is it? Of course, that won't stop the knee-jerk reactions from people who read "monthly subscription" and scream fleeing for the hills, but what can you do? "Of course that is also an option that Russian players have. The subscription model is mainly for those players that would not be able to afford the European version. This will also give them the option of buying the less expensive game and then afterwards deciding that the game is worth upgrading to the European version and as such they will have access to European as well as the Russian servers."